If you have followed the news about Firefox — hopefully by reading yours truly blog — you know that the past 18 or so months saw some dramatic announcements and changes. If you group those changes — planned, in development or on a to-do list — you come up with two major groups: introduction of features that change Firefox fundamentally, and the removal of features that impact part of the browser’s user base. Features like add-on signing, multi-process Firefox, support for WebExtensions, focus on 64-bit on Windows, and system add-ons, fall into the first group. You find complete themes, changes to the add-on system and compatibility, removal of NPAPI plugin support, and removal of smaller features such as Hello or the Social API. 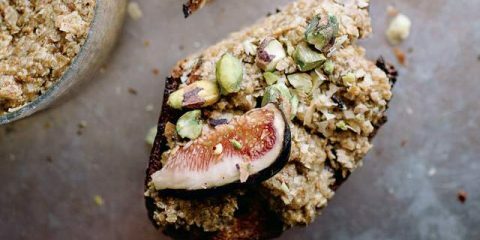 Much of it is still an ongoing process, and this article tries to shed some light on the process. It needs to be noted that things may get delayed along the way. The two big recent changes that are live for all or some users of the Firefox browser are add-on signing and multi-process Firefox. 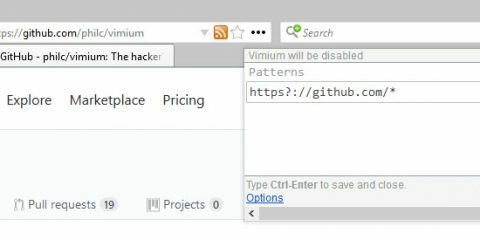 Add-on signing has been implemented in Stable and Beta channel releases of Firefox. The core idea behind the feature is to restrict which add-ons can be installed in the browser. Any add-on submitted to Mozilla’s official AMO add-on repository is signed automatically, while all other add-ons are not. Firefox users on Developer, Nightly and ESR channels can override the requirement, and Mozilla released unbranded builds for developers that support this as well. Mozilla did not release any statistics about the impact of add-on signing. My best guess is that the change hit veteran Firefox users the most who ran classic extensions in the browser that were never on Mozilla AMO to begin with, or modified to make them compatible with recent versions of the browser. 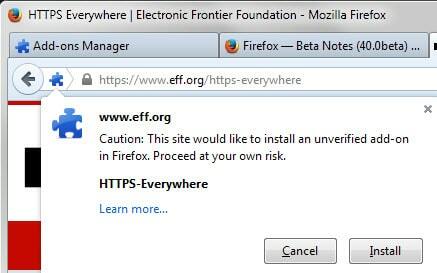 Multi-Process Firefox, codename Electrolysis or e10s, has been in the planning stages for years. 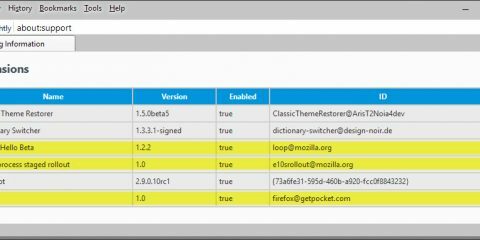 Mozilla enabled it on Firefox Stable in version 48 of the browser, but only for 1% of Firefox users who don’t run any add-ons. The organization plans to increase the distribution and push the feature to users with add-ons as well. The process will take a while and won’t end before Firefox 53 at the earliest which will be out April 18, 2017. Multi-process Firefox improves the browser’s responsiveness initially, but will support sandboxing for security eventually as well. Techcrunch reported recently that Mozilla saw an increase of 400% to 700% in responsiveness for loading web pages if multi-process was enabled in the browser. One downside is that it uses about 20% more memory, but that is still better than how Google Chrome handles this. Mozilla plans to remove XUL and XPCOM support from Firefox, and replace some of the functionality lost by the move with WebExtensions APIs. 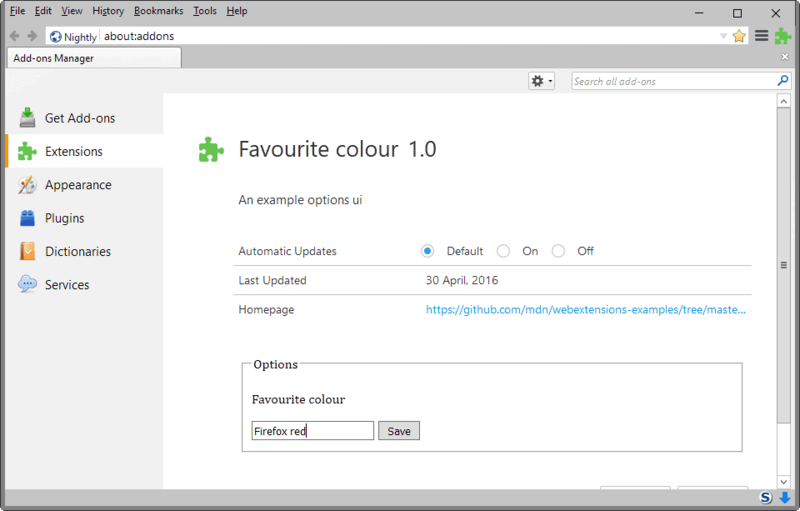 The first stable version of WebExtensions shipped with Firefox 48 recently, and it is already possible to download and install some Chrome extensions in Firefox because of it. Work on WebExtensions will continue for quite a while, especially since it is not really clear yet what extra set of features they will support (to support functionality lost by the removal of XUL/XPCOM). While Mac and Linux users had access to 64-bit versions of Firefox for quite some time, Firefox users on Windows had not. Mozilla plans to make Firefox 64-bit on Windows a priority starting this month. The process will go on until the third quarter of 2017 when it plans to migrate eligible 32-bit installations of Firefox to 64-bit. So-called system add-ons work in many regards just like regular add-ons. The core differences are that they are shipped with Firefox instead of downloaded by the user, and stored in the program folder and not the user profile. One of the benefits of system add-ons is that they can be updated independently. Previously, if you wanted to update the integrated Pocket feature, you had to ship a new Firefox version. 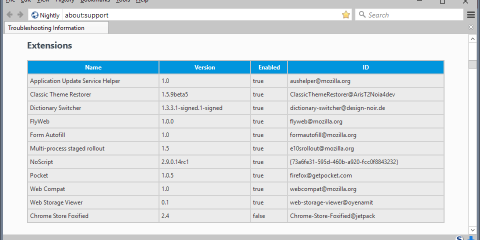 With System Add-ons, Mozilla can simply push an update for that add-on without touching the Firefox version at all. Firefox users get less control over system add-ons though. The add-ons cannot be removed completely from the browser for instance. Test Pilot is a new initiative that Mozilla uses to showcase features and ideas that may one day be integrated in Firefox natively. Basically, what you do is install the Test Pilot add-on, and then any of the available experiments to try them out. Mozilla gets early feedback on features, and Firefox users a chance to provide the organization with feedback. Mozilla plans to remove or deprecate several features from Firefox. Probably the biggest change is the deprecation of the old add-on model in favor of WebExtensions. While 40% of Firefox users are not using add-ons at all according to Mozilla, 60% are using them. One of the main reasons for Firefox’s success was its add-on system. It gave add-on and theme developers free reign, and allowed them to do nearly anything. This led to the creation of add-ons such as NoScript, Down Them All, Classic Theme Restorer, or support for complete themes that may change any interface element of the browser. Mozilla plans to remove this, and replace part of it with WebExtensions. It is clear that WebExtensions won’t be as powerful as what is currently available. What is not clear right now is how much will be lost, and what the impact will be on Firefox’s add-on ecosystem. Add-on developers need to port their extensions to the new system once it becomes the status quo. The past has shown that active developers will likely do so, provided that WebExtensions support everything they need for that, but that add-ons will be left behind. First, any inactive add-on or theme that depends on the old model will become incompatible with Firefox. Second, some add-ons may not be ported because WebExtensions does not offer the functionality needed to do so. The time frame given back in August 2015 was that it would take within 12 to 18 months, but it seems very likely that Mozilla will extend that period. The web moves towards HTML5, and browser makers like Google or Mozilla plan to cut off plugin support in browsers eventually. Mozilla plans to drop NPAPI support in Firefox 53. This means that plugins that rely on NPAPI won’t be available in Firefox Stable anymore. The one exception to this is Flash, which will still be supported for an undisclosed time period. Firefox users on ESR may use plugins until Firefox 60 ESR is released which will be out in the second quarter of 2018. Firefox Hello will be removed from Firefox. Hello was a real-time video chat feature that Mozilla integrated natively in the browser. The organization was criticized for introducing Hello as a native feature and not an add-on (also for doing the same with Pocket). 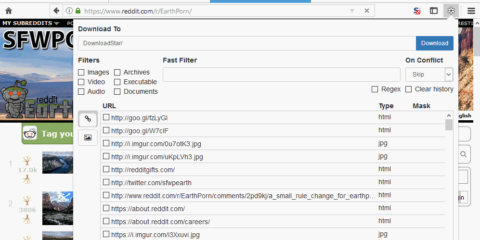 Part of the SocialAPI gets removed. The SocialAPI was an attempt to improve the integration of social sites and functionality in Firefox. The only feature that remains of the Social API is the share functionality. Now You: Are you affected by any of the changes? The post The State of Mozilla Firefox appeared first on gHacks Technology News.